Attorney and activist Maya van Rossum, author of The Green Amendment: Securing Our Right to a Healthy Environment discusses a pioneering new legal strategy to fight growing pollution problems, including drinking water contamination, air pollution, deforestation and climate change, by adopting constitutional green amendments that guarantee a safe and healthy environment. 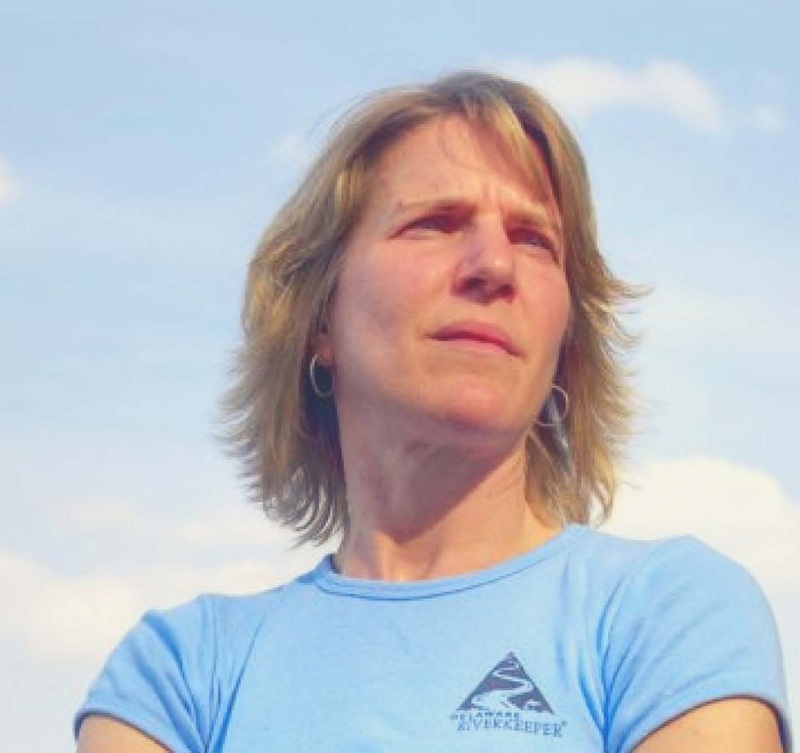 Van Rossum is also the leader of the Delaware Riverkeeper Network, an organization that has successfully stalled fracking and pipeline development in the Northeast. The DRN initiated For the Generations, a project that provides a guide to creating an environmental rights amendment in every US state. This veteran environmentalist used the constitution in Pennsylvania to take on and beat big fossil fuel industries, and how these amendments could change the legal landscape to crises such as Flint, Keystone, ad beyond. Van Rossum believes that environmental rights are a fundamental human right, just like free speech and the right to private property. 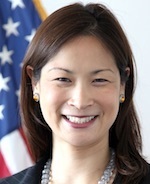 Professor Myanna Dellinger interviews Christine Harada, the former Federal Chief Sustainability Officer under the Obama Administration. Ms. Harada is currently working with the XPRIZE Foundation as a Bold Innovator, developing the next XPRIZE for Clean Air. Christine is also a Senior Fellow with the Los Angeles CleanTech Incubator, where she helps build out the cleantech economy in Los Angeles, CA. Christine explains what her duties were under the Obama Administration, and how those duties are (hopefully) being carried out under the Trump Administration. This episode was recorded at Occidental College in Los Angeles. In this epispode, Professor Myanna Dellinger interviews David R. Montgomery, a MacArthur Fellow and professor of geomorphology at the University of Washington. He is author of The Hidden Half of Nature and Dirt: The Erosion of Civilizations, as well as other award-winning popular science books. He lives in Seattle with his wife, author and biologist Anne Biklé, and Loki, their guide-dog dropout. In his quest to reveal the solutions beneath our feet, Montgomery introduces us to innovative farmers who practice regenerative agriculture. Montgomery shows that restoring fertility to the land is not an either-or choice between modern technology and time-tested traditions. Ending with a call for action beyond the fields, Growing a Revolution is an inspiring addition to the bookshelf of anyone seriously concerned with the future of food and farming, our relationship with nature, and the fate of civilization and the planet. In this podcast hosted by Professor Myanna Dellinger, Dr. Stefan Schäfer presents his view on the pros and cons of the ever-controversial, but, in his view, also promising aspects of climate geoengineering. Dr. Stefan Schäfer is a political scientist interested in the history, philosophy and politics of science and technology. He leads a research group on climate engineering at the Institute for Advanced Sustainability Studies (IASS) in Potsdam and is Oxford Martin Visiting Fellow at the Institute for Science, Innovation and Society, University of Oxford. He was a guest researcher at the Berlin Social Science Center (WZB) from 2009-2012 and a fellow of the Robert Bosch Foundation’s Global Governance Futures program in 2014-2015. 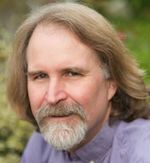 He is a contributing author to the Fifth Assessment Report of the Intergovernmental Panel on Climate Change, lead author of the European Transdisciplinary Assessment of Climate Engineering (EuTRACE) report, and chair of the Steering Committee of the Climate Engineering Conference (CEC) series. He holds a doctorate in political science from Freie Universität Berlin. See his profile at http://www.iass-potsdam.de/en/people/stefan-schaefer. In this podcast, Professor Myanna Dellinger interviews Dr. Armin Haas on how smart energy grids could solve some of the issues surrounding sustainable energy. Armin Haas is a senior researcher in the Systemic Risk project of the Institute for Advanced Sustainability Studies, Potsdam (IASS), and leads the IASS activities within the EU Horizon 2020 projects Dolfins and Green-Win. Moreover, he leads the research line Integrated Risk Governance of the Global Climate Forum (GCF). At IASS his main research foci concern the economic, ecological and social sustainability of the financial system, and innovative contributions to the management and governance of systemic risks. At GCF, his research focuses on innovative approaches for the management of large-scale complex uncertainties. He holds a Ph.D. in economics from the University of Karlsruhe, Germany. Before joining IASS, he worked as senior scientist at the Potsdam Institute for Climate Impact Research (PIK) and headed the research group Bayesian Risk Management. Together with colleagues from PIK and IIASA, he conceived the SuperSmart Grid. In this podcast, Myanna Dellinger interviews Dr. Falk Schmidt on his experience and views regarding water resource management in today's world. 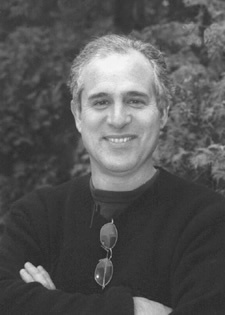 Dr. Falk Schmidt studied at Free University Berlin Philosophy, Business and Law. He got his PhD in Political Sciences, focusing on global freshwater governance. In the past 15 years, he has been working both in academia and the public sector, in Germany and with the United Nations. He joined the Institute for Advanced Sustainability Studies in 2010 and is currently the leader of an initiative that brings together science, policy and society for the implementation of the sustainable development goals in and by Germany. In this podcast, Myanna Dellinger interviews Craig Morris on his experience and views regarding how the German energy sector transitioned from fossil fuels to modern energy sources through grass-roots movements. The lessons learned have been adopted by other other countries and maybe there is hope of using this model for an energy transition in more stubborn countries such as the United States. 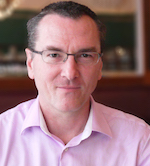 Craig Morris (@PPchef) is currently a Senior Fellow at the IASS. Coauthored with Arne Jungjohann, his book Energy Democracy is the first history of Germany’s energy transition, the Energiewende. He has served as technical editor of IRENA’s REmap and of Greenpeace’s Energy (R)evolution. In 2008, he cofounded Berlin’s PV Magazine; in 2010, Renewables International. In 2012, he became lead author of EnergyTransition.de. In 2014, he won the International Association of Energy Economists’ prize for energy journalism. What can we do today to work toward adequate governance of climate engineering down the road? In this podcast, Myanna Dellinger discusses with Matthias Honegger why governance urgently requires a global conversation open to all, which can help unearth concerns, risks and opportunities associated with various new ways to dealing with climate change in the context of expected future impacts from climate change itself. 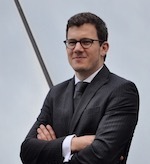 After studying environmental system sciences at the Swiss Federal Institute for Technology, Matthias Honegger has been working since the beginning of 2012 on international climate policy in developing countries and on climate negotiations as a consultant for various multilateral organizations and governmental bodies with the consulting firm Perspectives Climate Change (CV). During this time, he has actively followed and contributed to research on climate engineering and its governance and reflected about the climate engineering governance implications of the Paris Agreement (Harvard Viewpoints article). At the 22nd Conference of the Parties to the UN Framework Convention on Climate Change that took place November 2016 in Marrakech, Matthias has participated in what may well be the first serious conversations on this important issue area on the margins of international climate negotiations – including with negotiators representing countries from the global south and north. He also spoke in Marrakech on the need for a global conversation in a panel discussion (video). In his position at the Institute for Advanced Sustainability Studies (IASS), Matthias Honegger is undertaking social science research on questions regarding governance (mobilizing and regulating negative emissions technologies), and risks in context of direct interventions in the climate system and the growing threat from climate change. In this interview, recorded August 10th, 2016, Professor Myanna Dellinger interviews Wil Burns on Loss and Damage under the Paris Agreement. 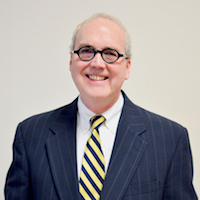 Wil Burns is the Co-Executive Director of the Forum for Climate Engineering Assessment in the School of International Service at American University. He formerly directed the Energy Policy & Climate program at Johns Hopkins University, and is the immediate past President of the Association of Environmental Studies & Sciences. Wil holds a Ph.D. in International Environmental Law from the University of Wales-Cardiff School of Law. This interview was recorded on July 11th, 2016. Professor Myanna Dellinger interviews Rick Reibstein about the the problems and issues surrounding the compliance and enforcement of environmental issues. 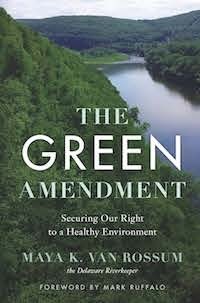 Rick Reibstein teaches environmental law to nonlawyers at BU and Harvard Extension School. 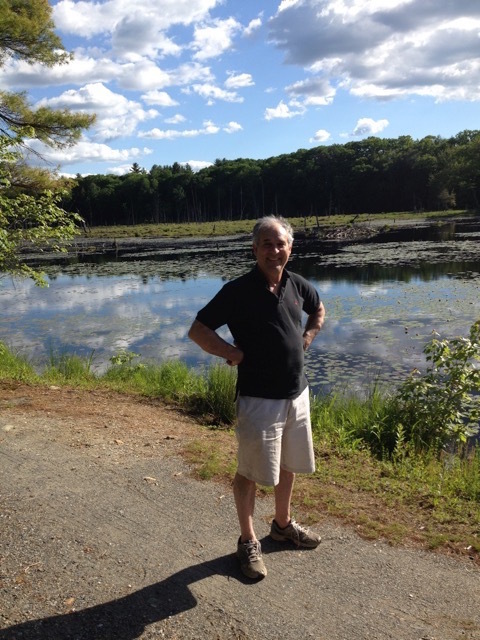 He spent almost three decades with the state of Massachusetts helping companies and others to comply with environmental rules and go beyond them to reduce the use of toxics, energy and water. He also spent a few years as an enforcement attorney for the US EPA and the state of Massachusetts, and has worked with both agencies to coordinate assistance and enforcement initiatives, so he brings an unconventional perspective to the question of enforcement. Rick has just published a book called Developing Sustainable Environmental Responsibility.